It’s another month when I read a lot and blogged little. It’s not that I lacked things to blog about – a fantastic open-air Manic Street Preachers gig, the Wonder Woman film, a wonderful holiday in Scotland – but I was too busy doing those things to stop and write about them! My reading this month was…eclectic. The standout was The Girls by Emma Cline, a very creepy book about a girl who joins a dangerous cult in 1960s California. Cline manages to convey how these on-the-surface unappealing cult members reeled in the vulnerable with just the right words and promises. It still gives me shivers thinking about it! 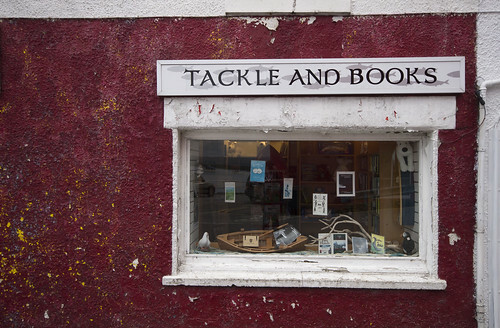 I will share some more pics from my Scotland holiday once I’ve sorted through at least some of them, but for now, above is a very well named bookshop in Tobermory, on the Isle of Mull. It was a pretty good shop, too.